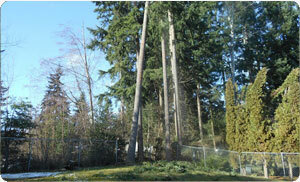 Trees are a long-term investment on any property in DuPont, WA in that they add a great deal to its beauty and value. To make sure that these assets do not turn into a liability, they need to be nurtured with proper tree care services provided by a certified arborist. The decision to choose our certified arborist to handle their precious trees is one that DuPont property owners will forever be glad they made. Whether our DuPont customers need a certified arborist to climb and prune trees, prepare new tree planting, diagnose and treat diseased trees,or protect storm-damaged trees, they should give us a call. Our certified arborist can even prepare legal reports about trees on residential or commercial properties to help DuPont property owners on issues such as public safety, heritage trees, view obstruction, and insect quarantine. 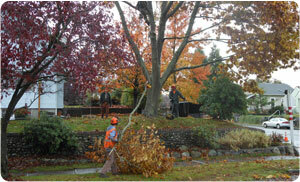 Why Choose Us for Tree Care Services in DuPont? Being a small, family-owned & run tree care company, we have always focused on extending highly personalized tree care services to every one of our DuPont clients. The excellent growth, success and reputation of our business has come from an honest desire to deliver 100% customer satisfaction. 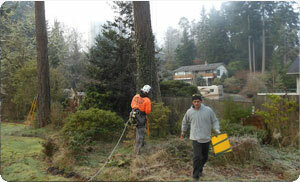 DuPont residents can call (253) 777-1938 to reach the certified arborist at Hunter’s Tree Service.